I just went on a trip to Japan and though this app would help but it disn’t. 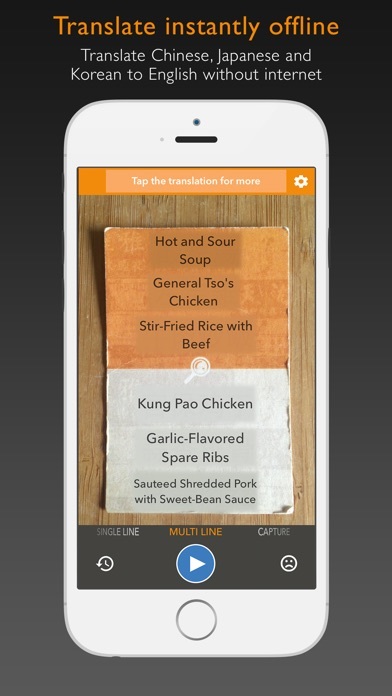 I tried it many time to translate menus and sentences but it would translate in something totally different. For exemple I wanted to translate a brochure about the city of Kyoto and it would translate “fatty tuna”. It is so off. Very disappointing for Japanese language anyway. 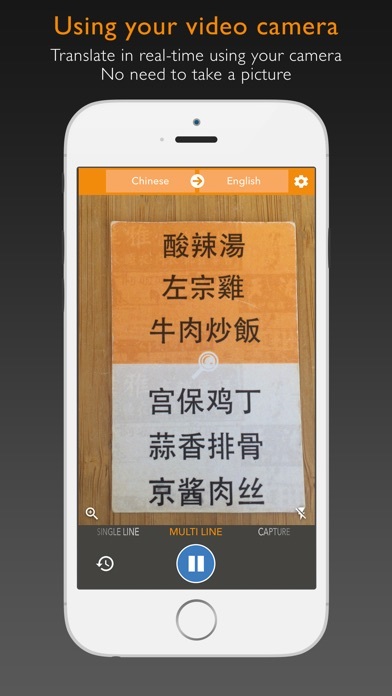 Paid for the app, but worked worse than free google translate (had to use vpn in China though). I spent 5 weeks in China and this was life changing. I was able read menus which was the most fun and entertaining. With all the choices in every restaurant large or small, i was able to try all the things i wanted! I read menus like novels so it was incredible! It was great for reading train tickets, signage and descriptions. I brought back ingredients and have been able to translate the packaging and recipes in Asian grocery stores here in the US! This app is absolute trash! I bought the paid version and none of the translations are correct. Doesn’t recognize the majority of characters and translates every other word into ‘tuna’ or ‘salmon’ when they are not even fish or food items. Do not waste your money on this terrible attempt at an app!! I was too desperate to find a translator in Tokyo and made the mistake of wasting $6.99 on this useless inferior quality crap before discovering one minute later that Google Translate does it ten times better and for free. If I could just get my $6.99 back I would erase this review, but no refunds exist - conveniently for them I suppose. Make sure your software works before selling it! 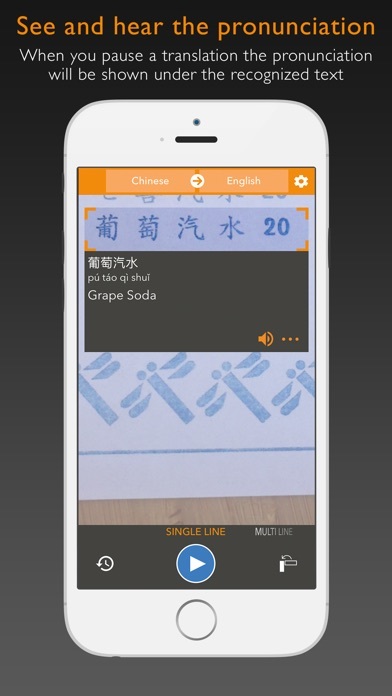 Very useful app while in Asia. 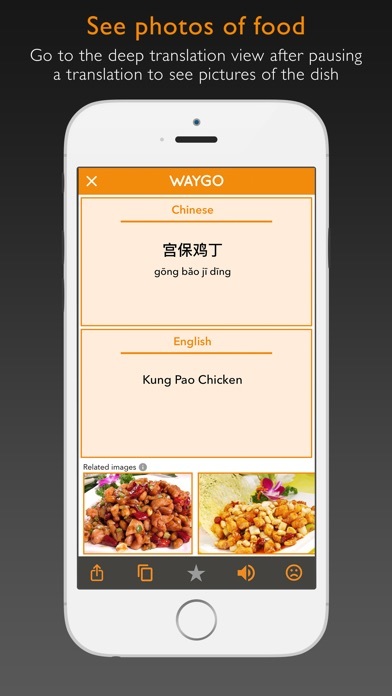 It comes handy to navigate menus written in Chinese. DO NOT BUY! WASTE OF MONEY! 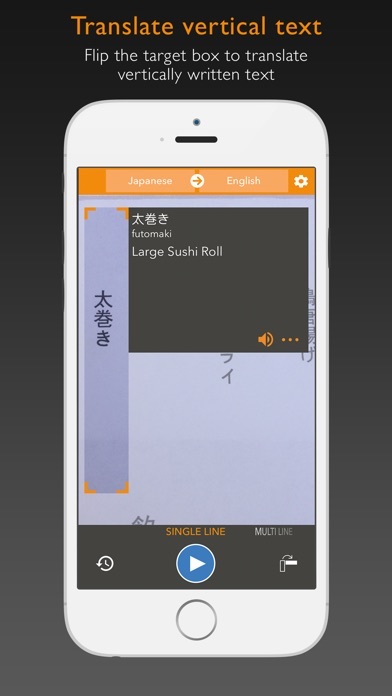 In Japan - This app does not work well, if at all. Google is free and better (but still not great). I didn’t find out until my money was already wasted.